Window hours for private vehicles plying along EDSA and C5 will be removed or suspended from October 17, 2016 to January 31, 2017. A dry run of the so-called "No Window Hours" for the Number Coding scheme will be conducted from Oct 12 to 14. The MMDA announced on its Facebook page that: "Violators will not be issued citation tickets yet, but will still be flagged down so as to be reminded of the new policy". The "No Window Hours" policy by the Inter-Agency Council on Traffic (I-ACT) will also be implemented along Alabang-Zapote Road and Roxas Boulevard, and in the cities of Las Piñas, Makati and Mandaluyong. 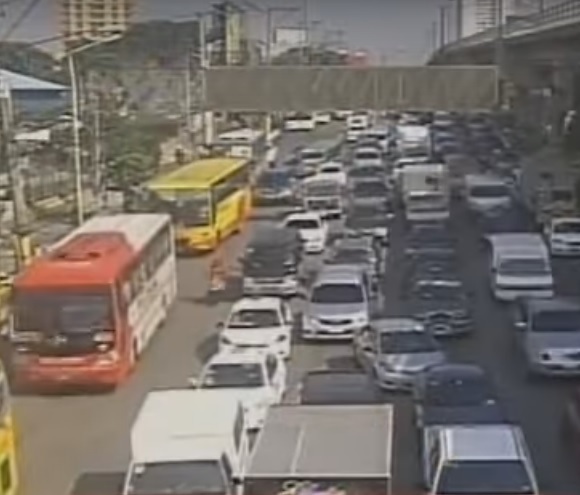 Neomi Recio, the head of Metro Manila Department Authority (MMDA) Traffic Discipline Office, said that the implementation of the new measure is expected to reduce the number of vehicles at EDSA and C5 by 20%, which is roughly equivalent to 1000 private vehicles. Recio explained that EDSA's full capacity is only 6000 vehicles. But MMDA data show that during peak hours, 7500 vehicles pass by EDSA, causing traffic congestion. She explained that congestion is mostly due to the high number of private vehicles. The "No Window Hours" policy was originally scheduled for October 31, but Metro Manila mayors clamored for an earlier implementation. With the coming holiday season, traffic volume is expected to increase in the next few months. After January 31, I-ACT will submit an impact evaluation of the new policy to the Metro Manila Council. It is the council which shall decide whether the "No Window Hours" will be extended or permanently implemented. The five-hour 'window hours' , which runs from 10 a.m. to 3 p.m. on weekdays, will surely be missed by private vehicle owners. Some have even aired their complaints on social media. For a lot of weary and sleep-deprived commuters though, any policy aimed to reduce traffic congestion is always welcome.